Within hours of the new online voting system for the Junior Eurovision Song Contest being opened, it has become clear that mass voter manipulation is possible. It seems fooling the system that the European Broadcasting Union are using for the online voting is far from rocket science, as ESCXTRA and Eurovoix have discovered in a joint investigation. This article was conducted as a joint investigation between ESCXTRA and Eurovoix. Authors: Nick van Lith, Nathan Waddell, Samuel Deakin. 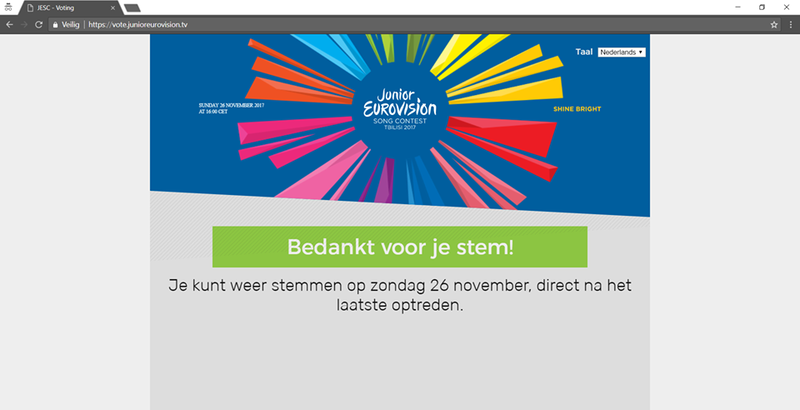 Nothing prevents users from accessing the new online voting platform for the Junior Eurovision Song Contest via VPN (Virtual Private Network). This allows users to appear as though they are visiting a web page from another country using remote server connections. There are various VPN services available on the internet, many of which are totally free to use and do not require a subscription – leaving the platform susceptible to manipulation on a commercial, individual and international scale, even outside the Union’s broadcasting zone. If that wasn’t simple enough, users are able to create a new instance of the voting platform by simply opening multiple browsers. Google Chrome’s ‘Incognito Mode’, for example, is a unique session, allowing users to submit another set of votes, in addition to those cast using the ‘tracked’ browser in its normal mode. In effect, you can vote on both mobile devices and personal computers as many times as you like, in private browsing windows, even using the most basic, readily available internet browsing software. 15 minutes, long enough to vote… long enough to detect fraudulent votes? The first phase of voting opened today, 24th November, closing at the start of Sunday’s televised broadcast. The question is already there, as to whether the European Broadcasting Union will be able to filter fraudulent votes in the upcoming days, let alone such a short time frame as fifteen minutes. After all songs have been performed on Sunday, voting will once again open, this time for just fifteen minutes. With the loophole discovered, one could seriously wonder if those fifteen minutes will allow the European Broadcasting Union enough time to detect fraudulent votes. At this time, there is no evidence to suggest that they can detect fraudulent votes and produce a credible result in the time they’ll have on Sunday, during the broadcast. Below you can see two screenshots of votes made from the same device, minutes after each other, by using a private mode of the Google Chrome browser. Voting at this year’s Junior Eurovision Song Contest is changing, now it’s easier than ever for corruption to take place an international scale. This new addition to the voting system was announced at the same time as the publication of the list of this year’s participating countries and the change in venue for the show. Some would say that the announcement may have been swept under the carpet, breaking the news alongside two other crucial announcements. It is open for any fan, located anywhere in the world, to vote for any participating nation. This means that it is legitimately possible to vote for your own country. The reverse of this; not voting for your own country in the contest, is a rule deemed entirely essential to make every Eurovision event fair, unswayed by population, uniform across the Eurovision Family of Events. 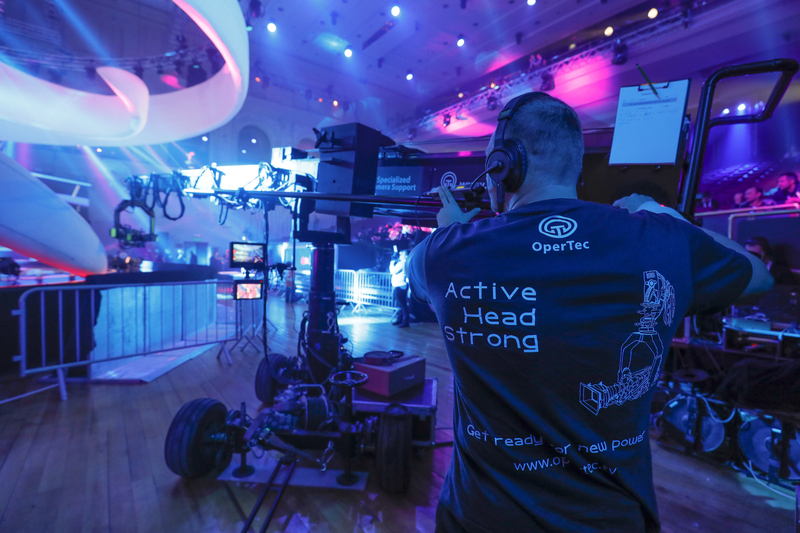 Despite last year’s dwindling viewing figures, there is an extremely high percentage of viewers based in two of the most populous nations entering in the competition – Russia and Poland. It is entirely possible for this vote to be swayed completely by voters in the aforementioned nations to increase their country’s own share of the overall online vote. In 2014, this system was trialled in a different form – crashing during the opening minute of the voting window on the night. This was ultimately abandoned and did not have any effect on the scoreboard. At that time, Junior Eurovision Song Contest Executive Supervisor, Vladislav Yakovlev, stated that “[the event] had around 4,000 online viewers in 2014 and [we] thought that online voting might raise that figure to around 8,000. We thought that Sound of data were being extra-careful with 15,000”. The European Broadcasting Union then stated at the Winners’ Press Conference that “in the first three seconds alone, 37,000 online viewers clicked to cast their vote online”. Since publication on November 24th, 2017, a statement from a representative of the European Broadcasting Union has been received on the matter. – Received midday, 26th of November 2017, from a representative acting on behalf of the European Broadcasting Union. Is the contest ready for a changing vote? Whilst the European Broadcasting Union has acknowledged that this is a test for usage on a grander scale, it does seem that corruption is possible on an international level. We have heard previously of SMS voting being carried out fraudulently, on a large scale by few competing nations at the Eurovision Song Contest. With the online vote also being open to manipulation, this new addition to the show is displaying signs of failure before the trial of this voting method has even concluded. This new voting system is a major concern. I’m from New Zealand, so it’s delightful to be able to vote for the first time, but I actually would much prefer a more robust voting system, even if it means I can’t vote. I wonder if they might end up discarding the online voting system should it become clear they are unable to filter out cheat votes. Hopefully this voting system isn’t unfair to other countries. Powerhouses like Armenia, Poland, and Malta shouldn’t be left out next year. Until then, I’m ready to reveal my prediction for Junior Eurovision 2018. I really want to vote for JL.